So when I first drafted this the Monday after oscars. My firefox died. Boo. Figures. So I’m going to keep it short and sweet. 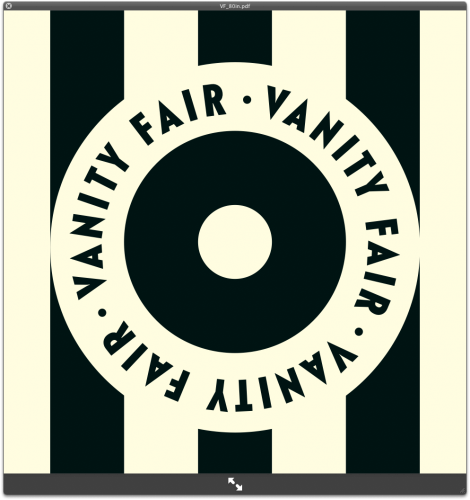 …was the circle on the “red” carpet that the pretty people stood on to get their pictures taken at the Vanity Fair Oscars Party. Anyways. The issue was addressed, and the circle became just 2 rings, and less of that of a Target ad. There was such an old Hollywood glamor feel to the whole look with the green and cream striped carpet. I quite liked it (though I cannot take credit for that design choice). It makes the dresses look so much better too, since red’s (of the red carpet) not the easiest color to compliment. I was going to add a cheesy picture of my head photoshopped at the party. But I decided it was too cheesy. So with that… I bid you adieu! Newer Post bringing home the gold from spd	Older Post now i’m famous? !